The Infant John embraces a lamb. As an adult he will point out Jesus as “the Lamb of God who takes away the sins of the world” (John 1:29). 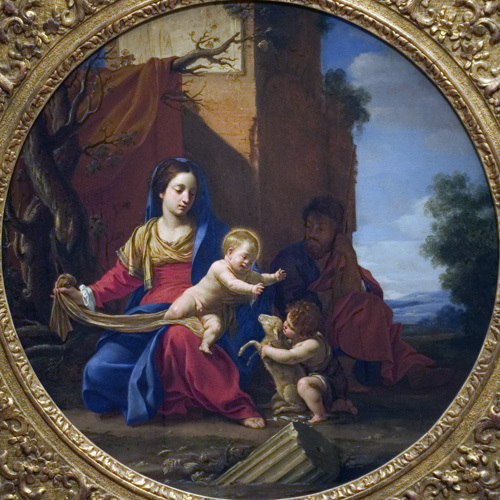 Joseph and Mary observe reflectively as Jesus reaches to embrace both John and the lamb.